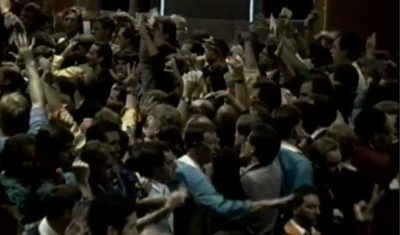 The old bond room at the CBOT was before my era so the raw video atleast gave me a sense of how incredibly crowded it was and the raw footage was like walking onto the trading floor again. 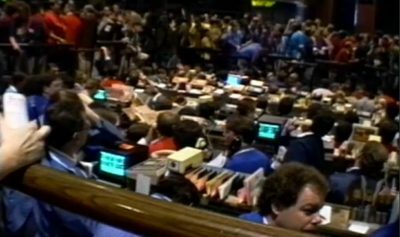 Anyone who did work in the old CBOT bond room will certainly love these videos because it’ll place them right back in there 23 years ago. I can’t embed the primary clip which the above screengrab came from but the link to the hour long raw footage is linked here. This particular clip starts off on the streets of Chicago and then transitions from the trading floor turnstiles to walking on the floor and observing w/a little narration by an exchange member. A second batch of raw footage starts in the morning of a desk broker for his commute to the CBOT where he describes the floor and then shows footage of the trading floor. This clip also can’t be embedded so the link for it is here and the footage for the CBOT section starts around the 25:00 minute mark. 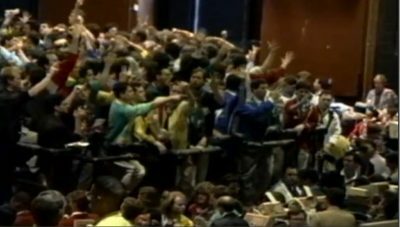 In this batch of raw footage was also an hour long clip of the CME upper trading floor with tour and commentary from a member who I’d suspect to be Steve Urkel‘s dad. Once again, it’s not possible to embed the clip but you can click the link for it here. 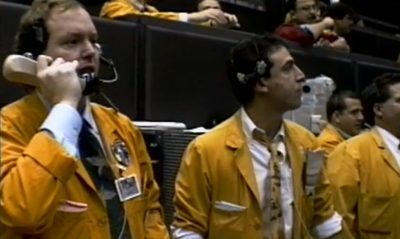 The movie trailer for Futures Past has just been released and it looks to be full of great trading floor footage of the CME at both the legacy Merc trading floor and the subsequent CBOT bond room which housed the combined exchange starting in 2008. It appears to have a dual focus on the automation of futures trading along with the relationship of industry titan Leo Melamed and his son, who is also the film’s director. Over the next couple weeks, the film is being screened a few times at the Chicago Film Festival and you can see the schedule listed for that here. Details on further distribution don’t appear to be available at the moment but hopefully I can be back in Chicago to take in one screening while it’s on the big screen. 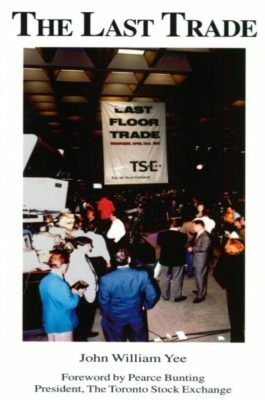 I was recently (out for a rip) in Toronto so it was a good opportunity to bring along and finally read The Last Trade by John William Yee which profiled a few dozen people who worked on the floor of the Toronto Stock Exchange in it’s waning days leading up to THE last trade in April 1997. This book didn’t just focus on the market makers, brokers and assorted traders, but also captured the perspectives of various support staff such as key punchers, clerks and even the guy who swept the floor. The Last Trade rarely has interviews of significant depth but the book chronicles the broad perspective of various human elements across an entire trading floor as it approached full automation. Until reading this book, I was unaware that a small futures trading pit of the Toronto Futures Exchange also shared the same floor as the Toronto Stock Exchange. Previously, I believed that the only Canadian futures trading pits were in Montreal and Winnipeg. As you might imagine, the futures guys who were interviewed in the book are an entirely different breed from the equity guys. For all those who worked on the Toronto floor in that era, I don’t know what would bring back more nostalgia, the shared experience of the trading floor of the amazing Leafs team of the mid 90s. 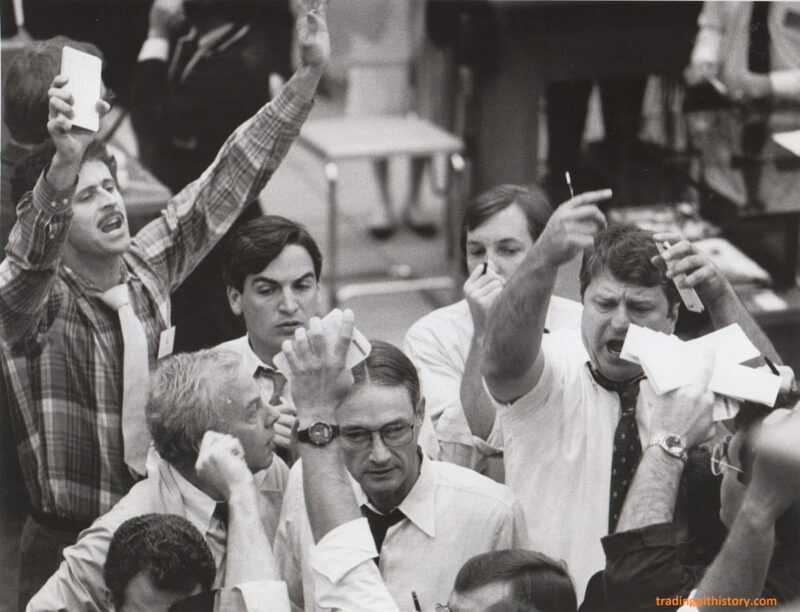 What was the intrinsic value of a prime location to stand in the CME’s eurodollar pit back in 1996? “Around the beginning of this year, Chicago Mercantile Exchange broker Mr. —— may have made real estate history. Sources say Mr. —— sold his standing spot in the Merc’s Eurodollar pit-a slice of turf that measures just one square foot-to a fellow broker for $1 million. Quite a sale. But such a deal is verboten at the Merc and other local financial exchanges. Under the exchanges’ oft-quoted “free markets for free men” slogan, traders and brokers must earn a spot by muscling their way into a pit, then trading or filling enough orders to persuade neighboring traders to let them be. 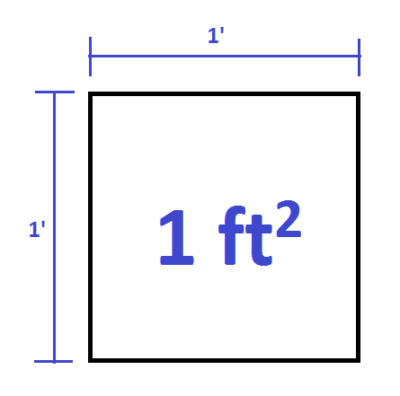 While traders generally respect each other’s spots, nobody can officially “sell” their pit space. 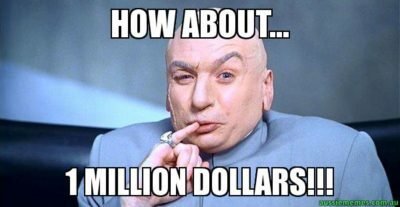 Yet an informal market for Eurodollar pit space has existed for nearly three years, according to sources on and off the trading floor. This market appears to be an outgrowth of the increasing influence of organized broker groups that dominate the business of filling customer orders at the Merc. No actual titles change hands, but sources say the rules of ownership are enforced by pit supervision committee members and upheld in appeals to the Merc’s board of directors. Granted this spot which changed hands, also assuming the order flow which came with it, was for a broker who was earning a dollar to fifty cents per contract executed and a subsequent Crain’s article noted that floor brokerage fees just in the eurodollar pit averaged about $275,000/day! I’d venture to guess that figure represented about 20-25% of the total pit brokerage fees across both futures exchanges in Chicago and you can understand the broad economic impact which the trading pits had on the city when over a million/day was going towards brokers and clerks, not to mention what the exchange, institutional brokerages and locals were earning on top of that. These articles were emerging during a heated division at the exchange by CME members who were trying to reverse the dominance of pit brokerage groups and the following week after this ‘real estate’ story was a line which made me LOL. “It’s unlikely the feds have planted agents in the pits-as they did in the late 1980s, when an FBI sting led to charges of illegal trading at the Merc and the Chicago Board of Trade. LOL, having read in the book Under and Alone of how extensive fake backgrounds are created for agents, I’m sure that it wouldn’t have been an issue for the Feds to have gotten agents in again if they wanted. The funniest part was how the writer made it sound like membership screenings were increased to detect any Feds. It’s been a couple years since I first read Professor Donald Mackenzie’s paper “Mechanizing the Merc: The Chicago Mercantile Exchange and the Rise of High – Frequency Trading” via Alexandre Laumonier’s excellent and very resourceful Sniper in Mahwah blog, but have refrained from writing about it myself because there was so much to comment about it. My arrival into the futures industry was shortly after the e-mini S&P was introduced in 1997 (almost 19 years ago exactly today) but I did have fortunate timing to be an active trading participant as the eurodollar contract transitioned from the pit to the screen. Professor Mackenzie’s paper describes many details pertaining to the liquidity of both derivatives shifting to the screen but the paper also has some a few issues I’d like to comment and supplement with my perspective. The paper begins with a background on the Flash Crash of 2010, descriptions of trading within the pit, origins of Globex, the necessity in learning how to find a trading platform, and the launch of the e-mini S&P but for brevity, I’ll only address the final section on eurodollars because that specifically allows me to speak from a great deal of personal experience. Eurodollars started access for side by side trading (electronic trading allowed during pit hours) in 1999 but it wasn’t until the latter part of 2003 when it started to get traction for a liquidity shift towards the screen. Between those two points, the liquidity followed a standard daily shift between the pits in Chicago and Singapore with Globex filling the gaps. A rough estimate of the shift followed this pattern based upon Central Standard Time: 5pm Globex reopen held liquidity for light trading until SIMEX pits opened around 6pm and the Globex screen emptied out almost entirely after SIMEX opened until it closed around 6am, after which Globex got repopulated w/orders and moderate trading until the 7:20am pit open which shifted liquidity back to the Chicago pit, once again Globex emptied out except the occasional order someone forgot to pull and remained blank until the pit closed at 2pm and liquidity once again shifted to Globex until the close at 4pm. Some exceptions to this schedule occurred such as when SIMEX celebrated Chinese New Year and their trading floor was closed so Globex held liquidity for that entire session. There weren’t any barriers to keep liquidity trapped in the pits away from the screen but it took a few years before conditions really ripened for the transition to happen. Foremost, Globex was more expensive to trade actively in eurodollars (15-20 cents/contract more than the pit for locals I want to say) so that dampened initiative to execute on the screen than in the pits. E-mini S&Ps were also subject to Globex fees, on top of CME clearing and clearing brokerage fees, but those were capped at an absurdly low $50/day until 2009 (!!!) whereas active eurodollar traders regularly paid thousands each day without the same fee cap once the contract shifted to the screen. Some rebate initiatives for market makers were eventually established but rebates were minor in comparison to fees paid. While the eurodollars continued to trade in the pit, a new generation of traders was emerging to provide liquidity on the screen. Trading arcades, such as Macfutures, arose with dozens to hundreds of traders in locations like Singapore, Gibraltar, London, Sydney, Montreal, etc… who traded not just Globex products like the e-minis but more so Eurex and LIFFE contracts which were both entirely electronic at that point. Eventually, as was noted within the paper, these European exchanges sought to leverage their user base to take liquidity from the CBOT and CME in Treasury futures and eurodollars, respectively. Now that that conditions were very fertile in late 2003 for a liquidity shift to the screen in eurodollars, all it took was a first mover make it happen. One of the most frustrating things about reading Prof. Mackenzie’s paper is it neglects specific details on how actually liquidity shifted and makes it appear like it was a top down directive which virtually forced the transition when that wasn’t the case at all. The true story of how eurodollar liquidity shifted to the screen is much more organic: a couple guys started to make markets for the entire trading session on the screen and that was the catalyst which had been missing for so many years. One random day in early 2004 (or perhaps late 2003), seated at the top row above of the tiers of brokerage desks on the west side of the eurodollar pit were two guys who remained sitting at Globex terminals when others left to walk into the pit. The clearing firm on their badge was 287 which meant they had an institutional connection of some sort because 287 signifies the firm E.D. & F. Man which didn’t clear locals. Looking at the Globex market shown on the wallboards, their intentions were clear as two sided markets were posted whereas previously it’d become blank after the pit opened. Initially they focused on the front couple months which had the deepest liquidity and were most static, even so they made markets a half tick outside the pit bid/ask initially on thin size of 100 or under. As they got more comfortable in the ensuing days, they’d tighten up their markets to the point that it’d match the bid/ask of the pit. Whenever the market would flare up, the market makers would hit their Scroll Lock key which cancelled all orders on Globex and once they’d get a handle on where the market stabilized, they’d proceed to make two sided markets again. Surprisingly, there was little animosity from the pit when the arbitrage began because some pit brokers were readily accepting the orders from the electronic market makers. At some point the transition to the screen was going to begin and two sided electronic markets signified the beginning of the end for the eurodollar pit. That first day of these two sided markets, I was standing in the spreaders section of the eurodollar pit and the sentiment was a mix of wondering if others would actually start trading against these markets along w/the resignation that the electronification process was getting a serious push. Straightforward arbitrage is such a fleeting strategy that I’m not sure how long these original market makers were able to profit from it because within a year the liquidity was sufficient that I stopped going into the trading pit anymore by 2005. In the interim, their markets attracted small orders because executing on the screen was empowering in it’s disintermediation away from the trading pit. Trading is a copy cat business and it wasn’t too long before locals in the pit utilized handheld devices to post their markets on the screen which they were also trying to work in the pit, not necessarily making two sided markets but for the chance of getting hit on something good they needed, it was another tool to utilize. After the CME eurodollars established daytime liquidity on the screen, SIMEX suffered the same fate as the Chicago pit and the primary liquidity pool for the contract transitioned quickly to Globex for the entire 23 hour trading cycle. One significant development which really added electronic volumes, but also wasn’t mentioned in the paper, is the early 2004 creation of CME’s incentive programs which allowed new participants to trade at a reduced rate but without having to initially purchase a standard membership. These programs were initially supposed to be temporary but like a temporary government program, continue to exist in perpetuity. I don’t believe CME ever released numbers on how much volume the incentive programs contributed but it was clear from seeing so many individuals and firms sign up on the weekly membership bulletin, that it was a gateway for many to expand into Globex markets. CME initiated a proxy vote to members (B share trading rights) in February 2004 about authorization for the exchange to forcefully transition the first two eurodollar quarterly contracts to the screen if they didn’t trade 25% of volume during regular trading hours by mid March 2004. In January, for the entire eurodollar contract, Globex represented 10% of volumes and most of that was concentrated in the first few months and by the time this proxy was presented I recall the volumes being very close to the 25% threshold already, by the time mid March came around I’d estimate well over two thirds the volumes in the first two quarterlies was done on the screen so the vote was nothing but a formality to show intentions. One additional important factor that underscored the passing of this proxy along w/wider acceptance of electronic trading was that CME equity stock was a consistently strong performer and many members held significant amounts which would appreciate in value as electronic volumes rose. A bizarre quote is included about how a trader from another pit was amazed at how a eurodollar trader with 100 contracts on could step away from the pit and go to the bathroom. Immediately preceding that quote was a contrary comment about how the eurodollar market was frequently static and barely moved, sometimes remaining the same bid/ask throughout the day. I don’t know if the author misunderstood the speaker but there wasn’t a trader in the entire eurodollar pit who would’ve felt uncomfortable for a bathroom break w/100 lots on. Even someone leaving for a week vacation with 100 outrights on wouldn’t solicit any reaction considering the positions locals had on easily went into the thousands, occasionally tens of thousands and for the elite over a hundred thousand, hedged of course. Incorrectly, it’s stated that Globex top of book queue priority wasn’t enabled until after the CME merged w/the CBOT. Since I started using Globex in 2000, there was always top of book priority for turning a market or making the best price in it. This was a huge advantage which was used in dual ways to establish priority and also know when someone else established it to look to knock their priority out so the allocation became pro-rata (for instance, if an offer traded out but didn’t go bid, it was possible to bid a 1 lot and cancel so if the same offer was reestablished, the bid allocation switched to pro-rata, since it was momentarily bettered by the 1 lot, rather than the top of book order getting 100% priority). I could continue to ramble on about this, and may do so in additional edits. Here’s a few visuals to go along w/the paper. 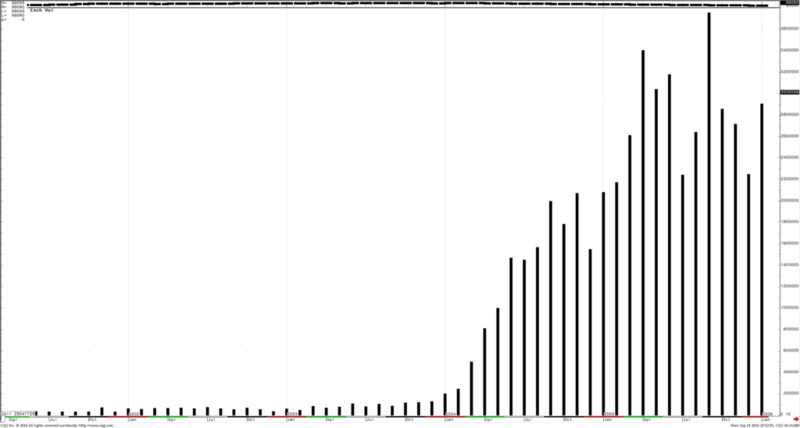 Above is the chart for monthly electronic eurodollar volumes and you can see an initial rise in late 2003 with a significant acceleration in early 2004. I attempted to do an overlay against pit volume but couldn’t get it the way I wanted to further illustrate. It should also be noted that before liquidity shifted, the volumes shown were entirely done in the gaps between SIMEX and CME trading pits being open. The once crowded eurodollar pit was reduced to less than half a dozen people on the final trade last summer. 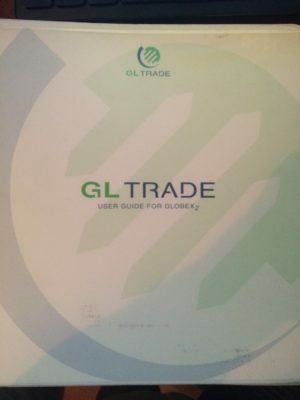 Also, I have all the Globex reference stuff regarding fees and user manual from 1999 which is of the lead screenshot but it’s too much stuff to upload without a specific reason to. Someday I might when more time is available because some of Globex’s other O.G.s might enjoy the walk down memory lane. There’s also so many hilarious stories to share about the early and comparatively primitive days of Globex, it used to be such a small community trading it and seeing counterparty IDs made it so much more information rich. I’ll leave “true early globex stories” for another post in the future. Between the market’s low volatility, playing w/my toddler and continued travels, I’ve lacked the motivation to post much over the summer. However, we spent some weeks in and around NYC so there were some speculative observations worth sharing on the blog which aren’t necessarily trading pit related but are relevant to the primitive days when humans clustered to trade. 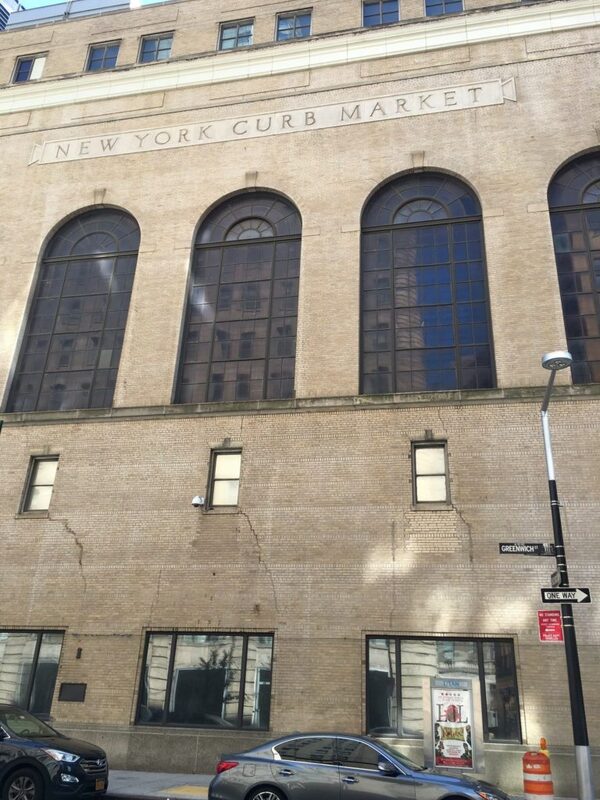 Before reaching Manhattan, we spent a couple nights in Greenwich and on the drive in from the Northeast, passed by the Guinness World Record certified “largest single trading floor,” opened by UBS in 2002. A viral photo went around last week of how empty it currently is and the NYT wrote an excellent article last year illustrating the decline of the UBS trading floor: In Connecticut, the Twilight of a Trading Hub. In my futile attempts to find something interesting to do in the area during my stay, I noticed on the map that The Jerry Springer Show studios are now literally across the street from the UBS trading floor after the show moved from Chicago in 2009. Having attended some Springer show tapings in Chicago, strictly as an audience member, I’d recommend doing so to others because without the exposure to crazy personalities on the trading floors anymore, it’s hard to find people who speak without filter. A Singaporean friend of this website pointed out an olde tyme documentary on the American Stock Exchange which originated on Broad Street as the outdoor based New York Curb Market. This 10 minute video illustrates the origins of how trading functioned in the street, hand signals were developed and garish, identifying clothing was utilized to be seen easily in the crowd by clerks who hung out of nearby office buildings. The hand signals which are shown in this 1957 video did not change since I sourced them for my book via this source in 2000. Whenever I find myself on Wall Street, it’s always a pleasure to admire the NYSE building for what it represents, even though I avoid equity trading. Art Cashin has been at the NYSE since early 1960s so I was excited to read his 1999 book A view of Wall Street from the seventh floor which was written to celebrate the Stock Exchange Luncheon Club, however the book was a disappointment that had few entertaining floor stories and dryly rehashed Lower Manhattan history instead. Finally, one thing I’ve always been puzzled about is the wide fascination w/Jesse Livermore. Among the first things I was told on the trading floor was that “you’re only as good as your last trade” and in Livermore’s case his last trades wiped him out to the point he put a bullet in his head at the Sherry Netherland hotel just off Central Park. Perhaps if I stopped in at the bar in the Sherry Netherland for a drink w/the Boy Plunger’s ghost, I’d understand better and will do so next visit. Reminiscences is an interesting story but one certainly not to emulate with how life turned out after the book. Livermore’s great-granddaughter instead offers much more straightforward work to interpret. This past week I had a personal anniversary which was worth celebrating, July 1st marked that I’ve spent exactly half my life in the futures industry since I began that day on the floor of the Kansas City Board of Trade in 1998. Some might say that it means I haven’t had a real job my entire adult life and yes, that’s basically true, but having had plenty of real jobs as a teenager, it’s not a coincidence I’ve done my best to avoid one again. My first day working at the KCBT, two memories stick out with the first recalling a huge, immediate grin the moment I set foot onto the trading floor. As exciting as it was to watch the action from the viewing gallery, actually being on the floor had an electricity which was indescribable, comparable to being on the actual field of play at a sporting event rather than sitting in the stands. The second memory from that day in 1998 was the floor had a buzz about it because one of the female clerks had her car blown up, literally blown up, the day prior in the parking lot across the street and in view from the two slim trading floor windows. I thought to myself, the people in this business are nuts, and that still holds true today for the most part though bean counters are taking over. There was never any specific word on the crime but I imagined it was a lit rag stuffed into the gas tank and the motive probably had something to do w/her sleeping around so I heard. My first exposure to the trading pits was from reading The New Gatsbys and my initial observations were as manic as described in the book. As fun and interesting it’s been to clerk for the first few years and trade for going on 15 years, 18 years in the industry isn’t much compared to legends like Lee Stern, who has been a CBOT member for 65 years and still trades. Very few leave the trading business willingly and the appeal is best summed up by this quote by the late, long time CME member Barry Lind, “This place makes you old quickly and keeps you young forever.” Each day still makes me feel like a mix between that 18 y/o kid back in July 1998 and Methuselah, but if all goes well I’ll still be trading in the year 2067 and can match Stern’s ongoing exchange membership streak. Swiss 50yr bonds are already negative yield to that year so this interest rate trader will have to find another market to trade for the journey to keep going that long.